47 Ronin Limited Edition Tengu Sword | BUDK.com - Knives & Swords At The Lowest Prices! 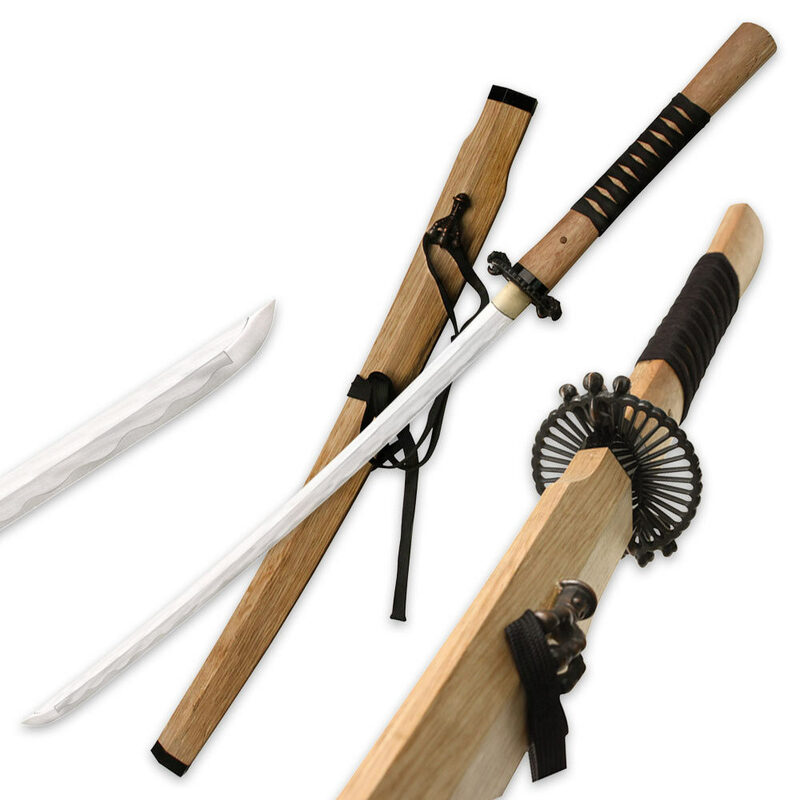 Own the officially licensed Tengu Sword, a replica of the sword used in Kai's last battle scene. This meticulously recreated prop features a hand-forged 1045 high carbon steel blade completed by a cast dragon claw tsuba and wooden handle with cord wrappings. A coordinating hardwood scabbard completes this design. This officially licensed limited edition Tengu Sword includes a Certificate of Authenticity. Includes a black storage/carrying bag.